As major world economies grapple with rising inequality, what is the relationship between economic growth and poverty reduction? 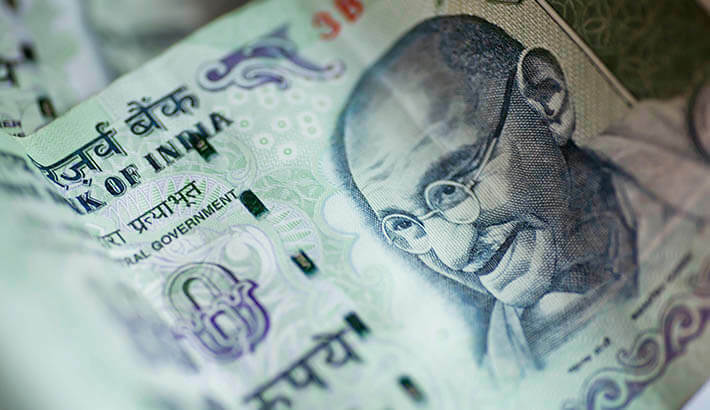 Monash Business School’s Gaurav Datt writes how India’s striking transformation from rural to urban economy has driven gains for the poor. India’s economic take-off during the 1990s and the early 2000s is now part of the country’s economic folklore. After 1991, per capita income grew nearly two-and-a-half times faster in real terms compared to the preceding three-and-a-half decades. During this time, the fall in poverty also picked up pace (Figure 1). 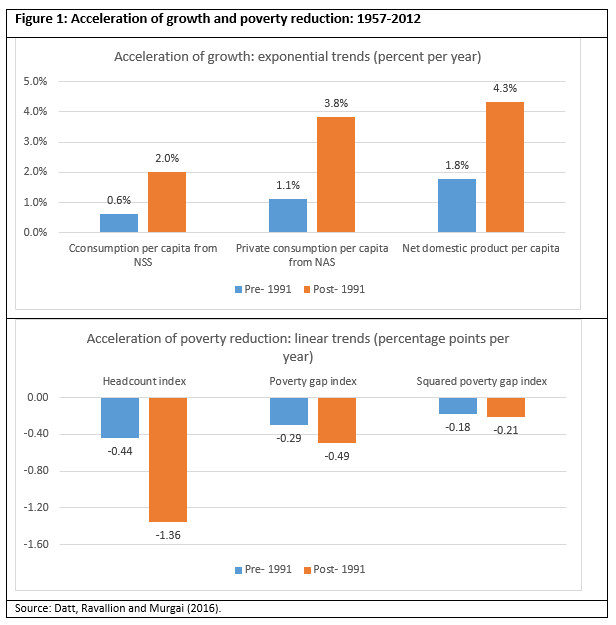 But was the faster pace of poverty reduction after 1991 simply a reflection of faster growth, or did poverty indeed become more responsive to growth? Did the changing pattern of India’s growth matter to the pace of poverty decline and, if so, in what way? 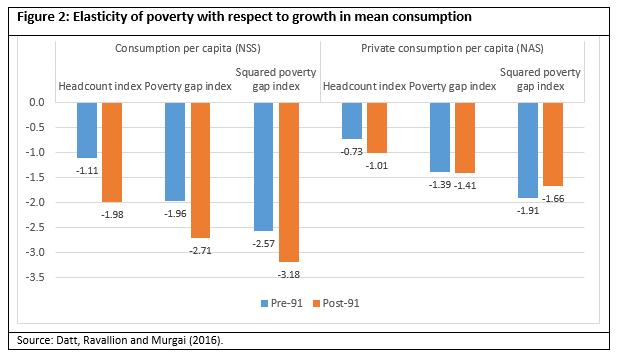 First, has India’s growth become more pro-poor (that is, aligned with poverty reduction) or not? One measure of the pro-poorness of growth is the elasticity of poverty reduction to growth – in other words, by how much did poverty decline for every 1 percent increase in per capita income or consumption. Thus, the question of whether poverty became more responsive to growth can be rephrased as whether the elasticity of poverty reduction to growth has increased or not. It turns out the answer depends to some extent on how growth is measured. If by growth we mean changes in per capita consumption derived from household surveys, there is strong evidence that not only is the post-1991 period one of faster growth, it is also one of more pro-poor growth; the elasticity of the headcount index to growth increased from 1.1 (pre-1991) to 2.0 (post-1991). On the other hand, if growth is measured by per capita income or consumption from the national accounts, the evidence still points to a higher elasticity for the headcount index post-1991. For poverty measures that take the depth or severity of poverty into account, the evidence is mixed: higher elasticity of poverty reduction post-1991 only holds if growth is measured using the surveys, but not if it uses national accounts. Then, did the changing pattern of India’s growth matter to the pace of poverty decline and, if so, in what way? 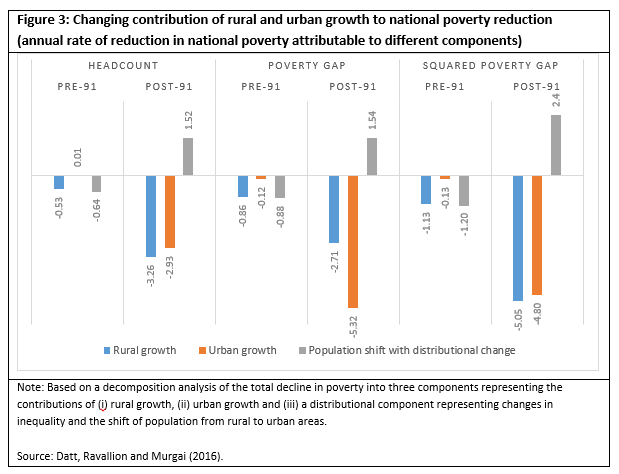 Our research shows that during the past two decades the poor gained more from urban than from rural growth, altering the earlier relationship between the pattern of growth and poverty reduction. Before 1991, rural growth largely determined poverty reduction in the country as traditionally the vast majority of the poor lived in rural areas and depended on the rural economy for sustenance. While urban growth did indeed reduce urban poverty, it contributed little to national poverty reduction. Since the early 1990s, however, this pattern has undergone a striking change. Urban growth has now emerged as a major driver of national poverty reduction. Since 1991, urban growth was responsible for 60-80 percent of the total fall in poverty (Figure 3). This happened both directly, through urban growth having a larger impact on urban poverty, but even more importantly indirectly, through urban growth substantially impacting impact on rural poverty. This indicates that the growth of cities, which have both bigger populations and higher productivity, has been good for poverty reduction as a whole in India. Next, we examined which sectors had emerged as the primary drivers of India’s growth. Before 1991, rural growth, especially in the farm sector, mattered most for poverty reduction. But in recent times, it has become more difficult to attribute poverty reduction to any specific sector. Post-1991, all sectors have contributed to reducing poverty. Indeed, with the greater integration of the Indian economy, growth in one sector has begun to transmit its gains elsewhere to a greater extent than before, and the imbalance in the growth process has ceased to matter. Gaurav Datt is Associate Professor in the Department of Economics and Deputy Director of Monash Centre for Development Economics. This article is based on research undertaken by Gaurav Datt with Martin Ravallion from Georgetown University and the World Bank’s Rinku Murgai. Read their paper here.